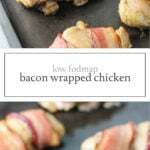 With just four ingredients, this Low FODMAP Bacon Wrapped Chicken is an easy, flavorful entree. Serve with steamed veggies or over a bed of lettuce. I am all about super simple recipes with minimal ingredients, especially during a crazy, hectic week. 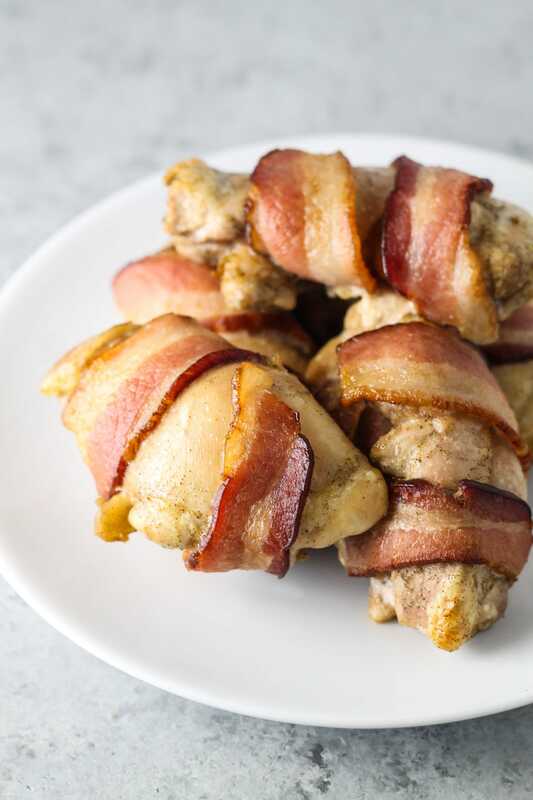 With just four ingredients, this Low FODMAP Bacon Wrapped Chicken is easy-to-make and delicious with steamed broccoli or over a bed of romaine dressed with olive oil and vinegar. In a large bowl, whisk together olive oil and sage. Add chicken and toss to coat. 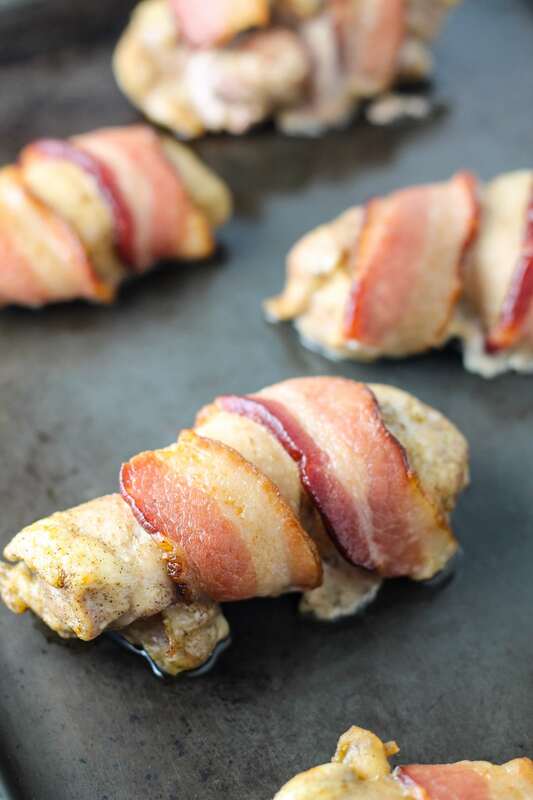 Wrap each piece of chicken with a slice of bacon and place on prepared baking sheet. Bake for 20-25 minutes or until done. Enjoy warm. I’ve found a wonderful oil at Wegman’s if you have one close….It is Wegman’s Basting Oil, and it’s a Sunflower oil that’s infused with garlic and herbs. It is wonderful and one of the most flavorful ones we’ve found for LowFodmap so far! That sounds amazing! Thanks for sharing, Vicki! Just wondering is there another garlic infused oil besides olive? It seems like a lot of your yummy looking baked recipes are cooking at 425 from my understanding Olive oil has a smoke point of 350 making it great for drizzling and dipping but not so much for high temperature cooking.